A few days back, we had revealed that the shooting of Sye Raa was happening in a specially erected set in Hyderabad. Now, the latest we hear is that the film’s shoot has moved to RFC. Some key scenes featuring Chiranjeevi and Nayanthara are currently being canned now by director Surender Reddy. The film also stars milky beauty Tamanna and she is yet to join the sets of the film. 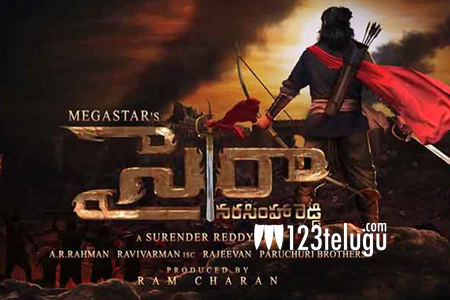 Ram Charan produces this film on his home banner. Watch out this space for more updates on this project.